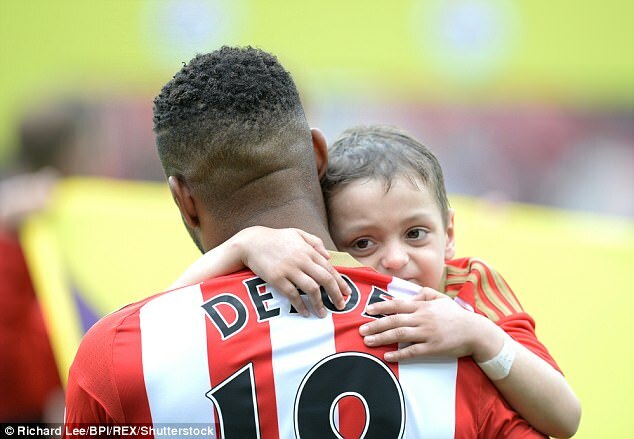 At the age of 35, you'd expect Jermain Defoe to be winding down his top-flight football career. 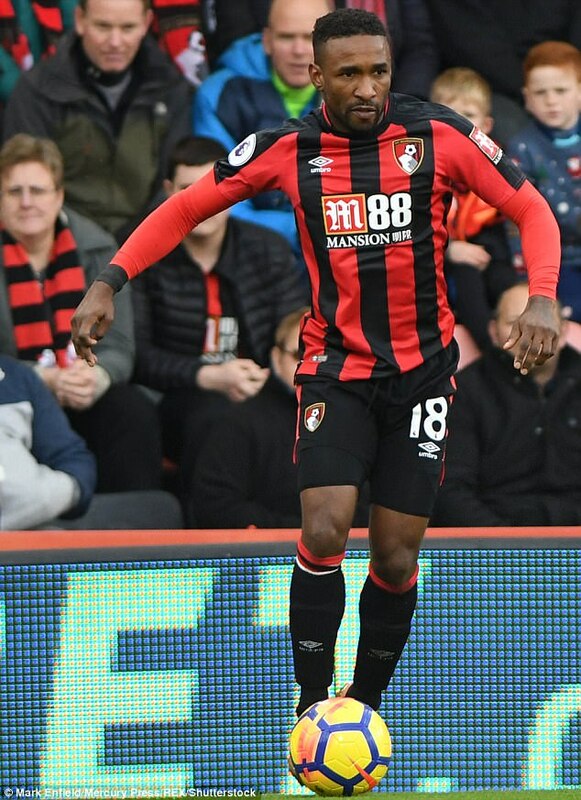 But the Bournemouth FC striker says he can see no reason why he won't keep playing in the top tier until his early 40s after dramatically reducing his meat intake and favouring a vegan diet. 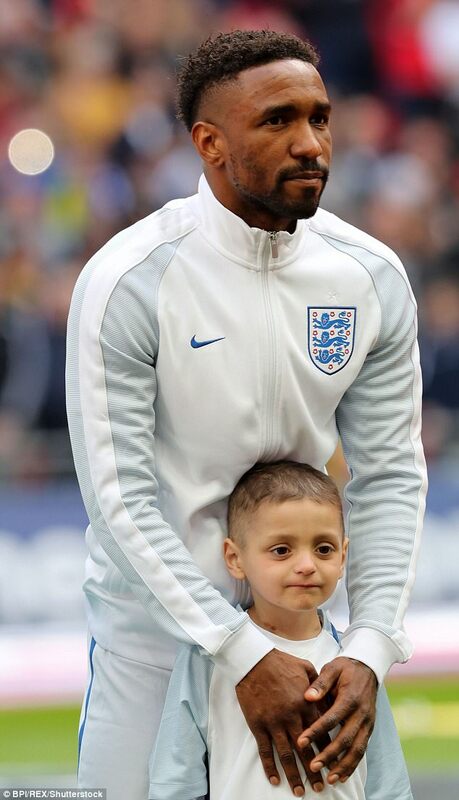 The England ace, who became a national hero after befriending cancer-stricken young fan Bradley Lowery, says he was the only player not to get an injury at his last club, Sunderland, last season - something he puts down to his new diet. Unfortunately his new lifestyle didn't prevent him from being ruled out for up to 10 weeks just before Christmas after fracturing his ankle during a tackle against a Chelsea defender in the League Cup quarter-finals. But otherwise, devout Christian Defoe says he now has more energy than ever since cutting down his meat intake, revealing he never feels lethargic or bloated anymore. He believes it will prolong his career. 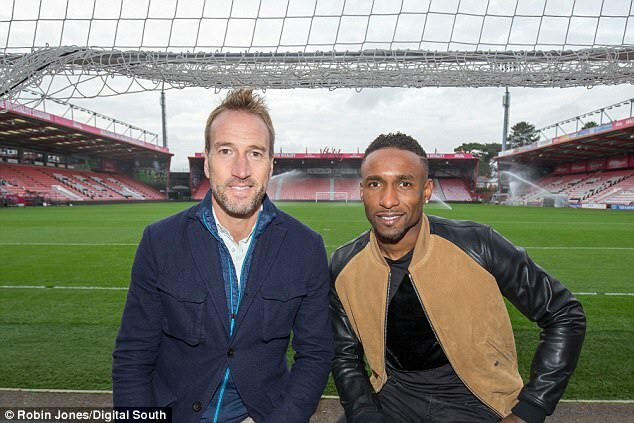 Defoe, who has made a new film with Ben Fogle for Quorn about veganism, says anyone has the potential to benefit from a vegan lifestyle, as it potentially could be the secret to better fitness levels. 'I started [cutting down on meat] and I realised I felt different in terms of energy,' Defoe, who lives with his girlfriend Rachel, said. He added: 'The Premier League nowadays is so tough and game goes so fast, you can be out on the pitch and pick up little muscle injuries. 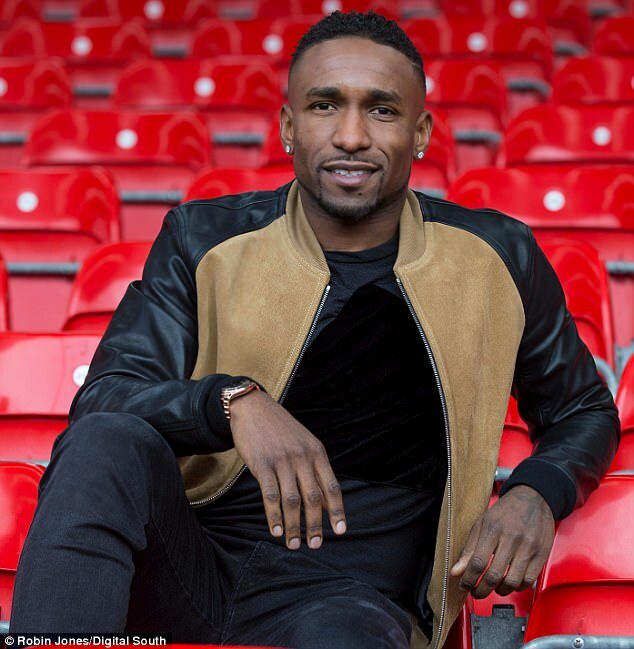 Defoe, who only eats salmon once or twice a week but is otherwise vegan, added: 'I just feel like I can play for as long as I can. 'I'll always be honest with myself and listen to my body but if you look after your body, it looks after you. 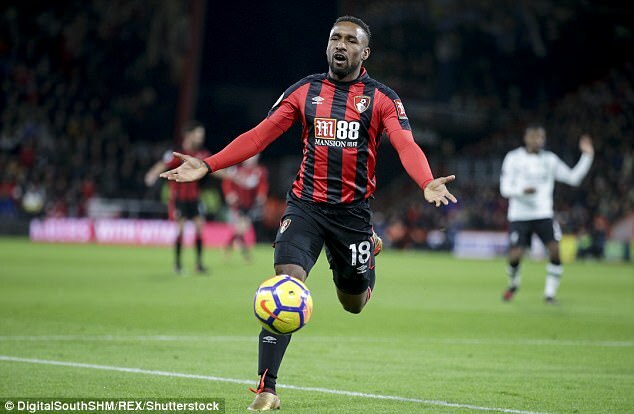 Defoe has even convinced his family and even some of his teammates, including striker Benik Afobe, to try cutting down meat and eating more vegan fare. Defoe's mainly plant-based diet signals a new era for football, one where players aren't afraid to eschew a macho culture for wellness practices once associated only with women. Defoe does Pilates twice a week, as well as yoga, in order to stay healthy - and he says more and more footballers are now taking up the exercises. Porridge, with almond milk, mixed berries and cashew nut butter. Protein shake and a (vegan) pizza. Maybe a sticky toffee pudding! On a non-match day: vegan Mexican tacos or a Quorn burger. 'When I first went to yoga, there would only be four players in there, now there's eight players in there. 'I get no grief. They'd get it back anyway! Defoe also does cryotherapy: a treatment where your body is subjected to extreme cold temperatures of up to 160C. Some sportsmen swear by it, as does Defoe, who says it gives him 'instant muscle recovery'. All these wellness practices ensure that Defoe remains at the top of his game. Jermain says he doesn't have fewer calories even though he has cut out almost all meat from his diet, and still carb loads. And despite cutting out chocolate from his diet, he still indulges in his favourite sticky toffee pudding from time to time. But does he ever miss meat? 'I don't miss any meat really,' he said. He added: 'I don't even feel like I'm fatigued at the end of a season. I'm 35! 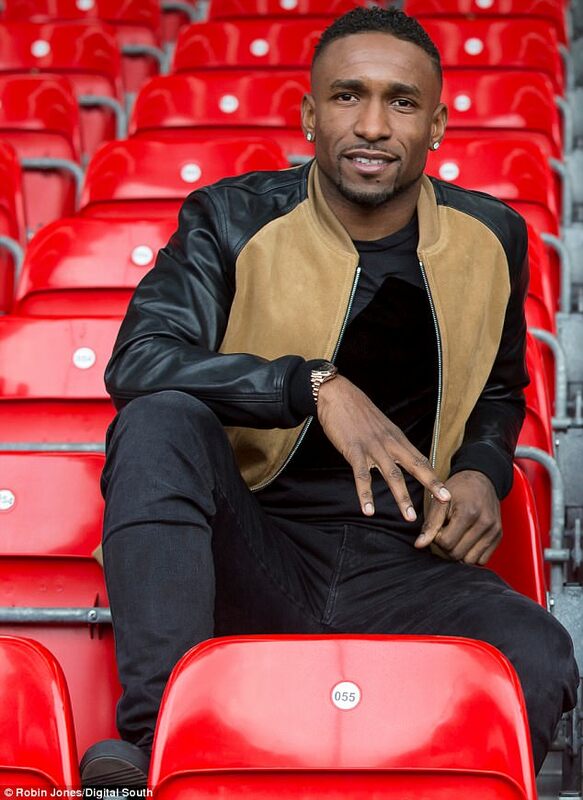 Jermain Defoe has partnered with Ben Fogle and Quorn to explore how meat reduction can be healthier for you and the planet. Watch their film at quorn.co.uk/whats-new.